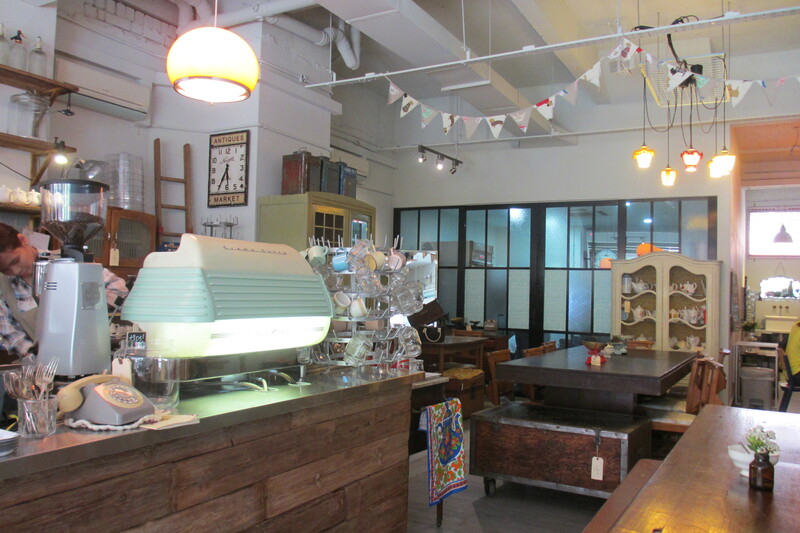 The first time I stepped into Carpenter & Cook, it was like Alice stepping into Wonderland. It was overwhelming taking every detail in. A feast for the eyes, no doubt. 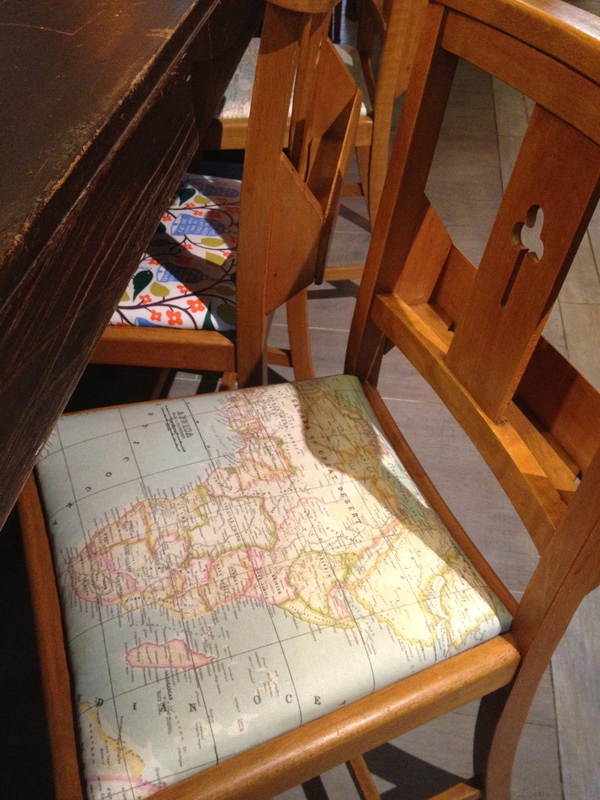 Each piece of furniture, and down to forks, carries its own history, originating from a different country. 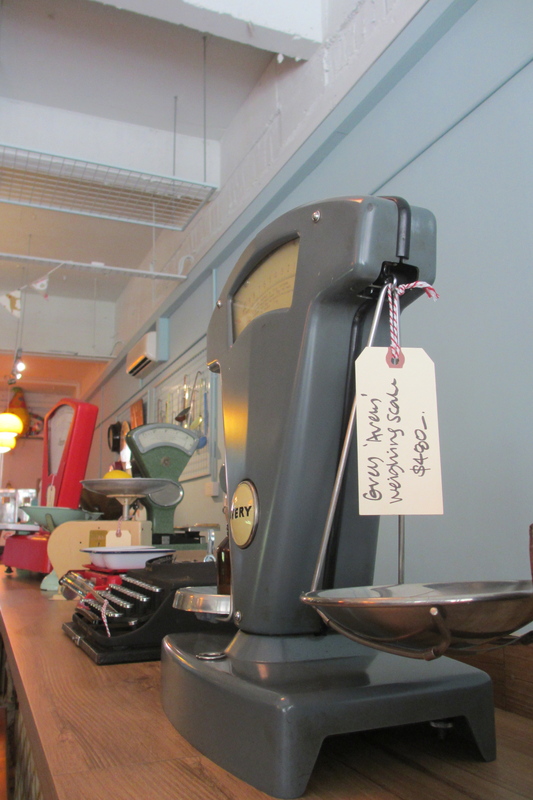 All these pre-loved items culminate in a beautiful retro-vintage, Britain-flavour cafe. 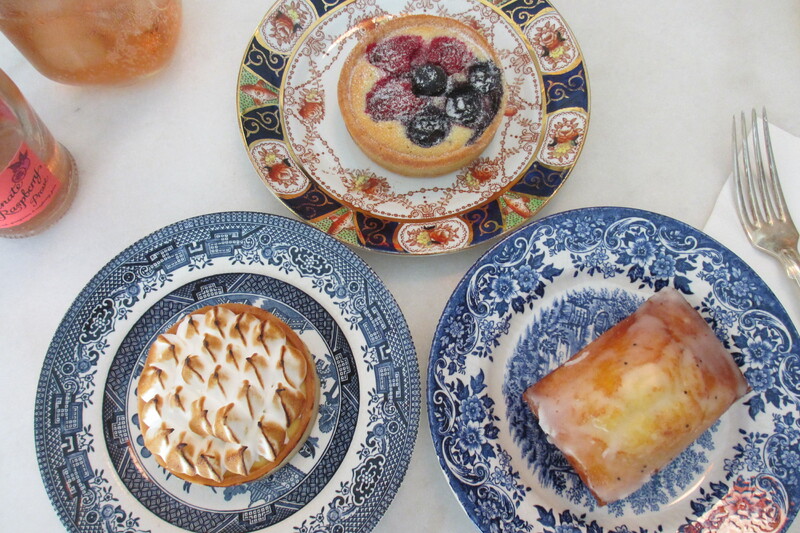 The pastries and desserts served here are no less amazing. 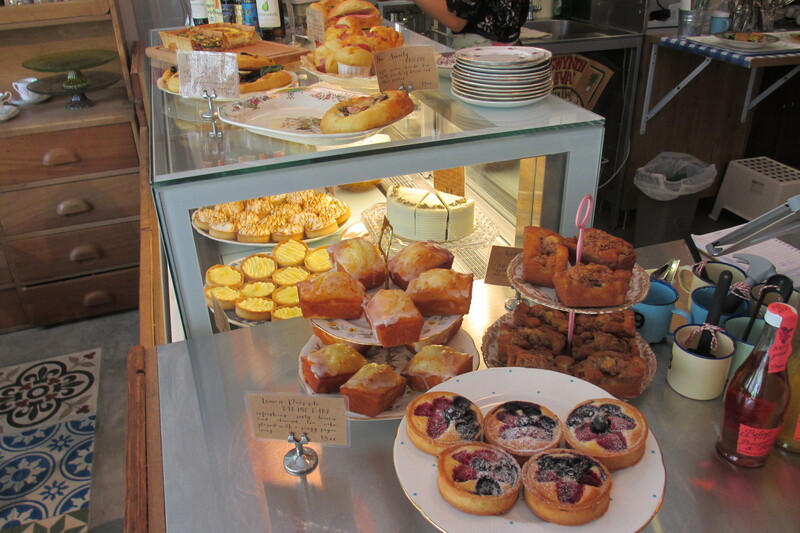 The counter that displays the glorious array of pastries and desserts. 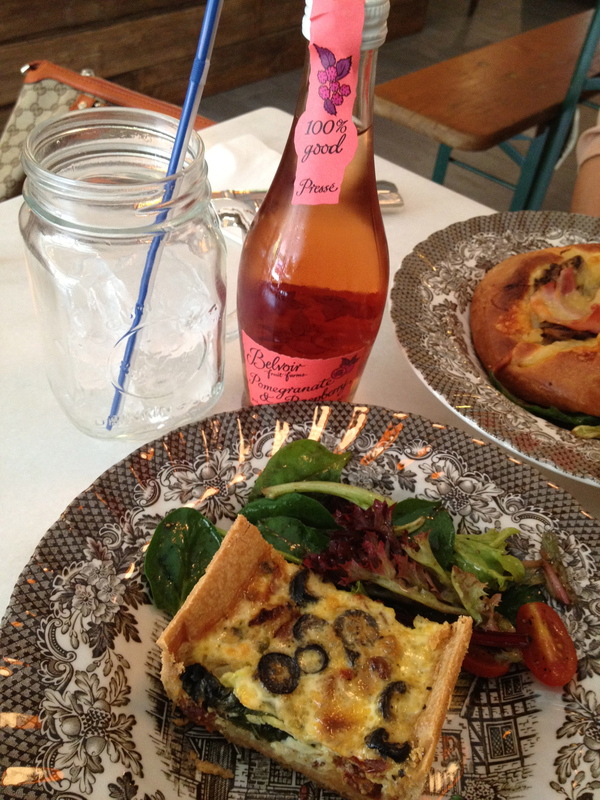 Sundried Tomatoes & Olive Quiche (vegetarian) served with salad; Pomegranate & Raspberry Carbonated Juice. One of the most amazing quiches I’ve ever eaten! 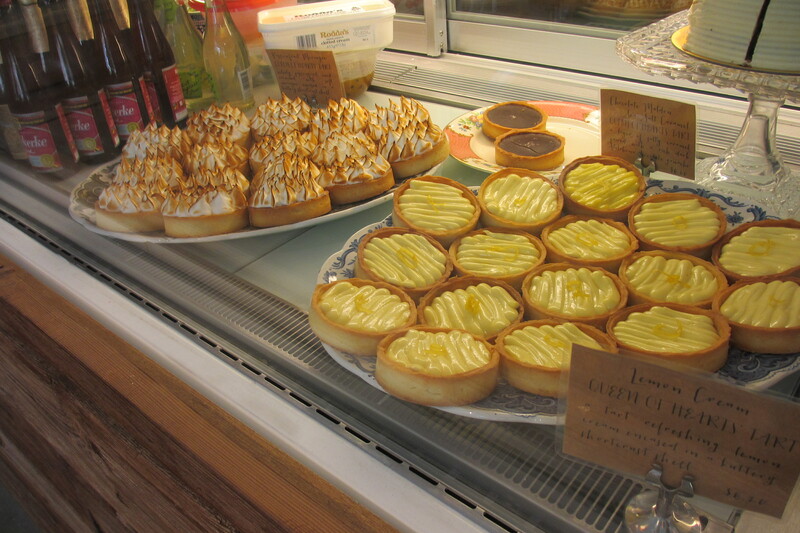 According to the owner, she likes to use vegetables in quiche to retain the moisture of this savoury pastry. Served warm, the crust has the perfect crunch which encases the most aromatic (and moist) filling. The quiches come in different flavours but I’d highly recommend this vegetarian one! The carbonated drink comes in a range of flavours, from apple to elderflower. These are specially imported from UK so do give it a try! It’s not too sweet for my liking, a perfect complement to their desserts I would say! 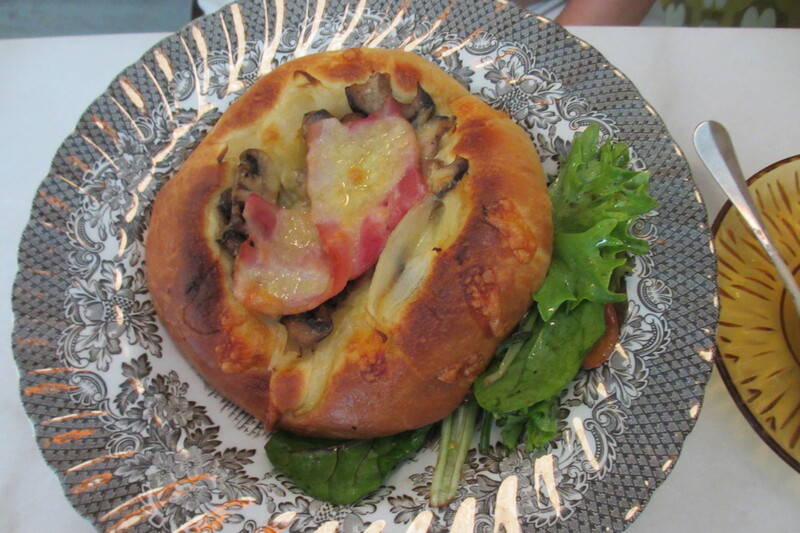 Brioche with Bacon and Mushroom served with salad. Until Carpenter & Cook, I did not know that brioche could be so soft, yet it is not the texture of your normal Breadtalk bread. A simple item but executed more than perfectly. My first ever passionfruit tart! Being a fan of this fruit, you could imagine my excitement when P told me about this. Like your usual lemon tarts, the passionfruit-scented curd is hidden under the torched meringue. 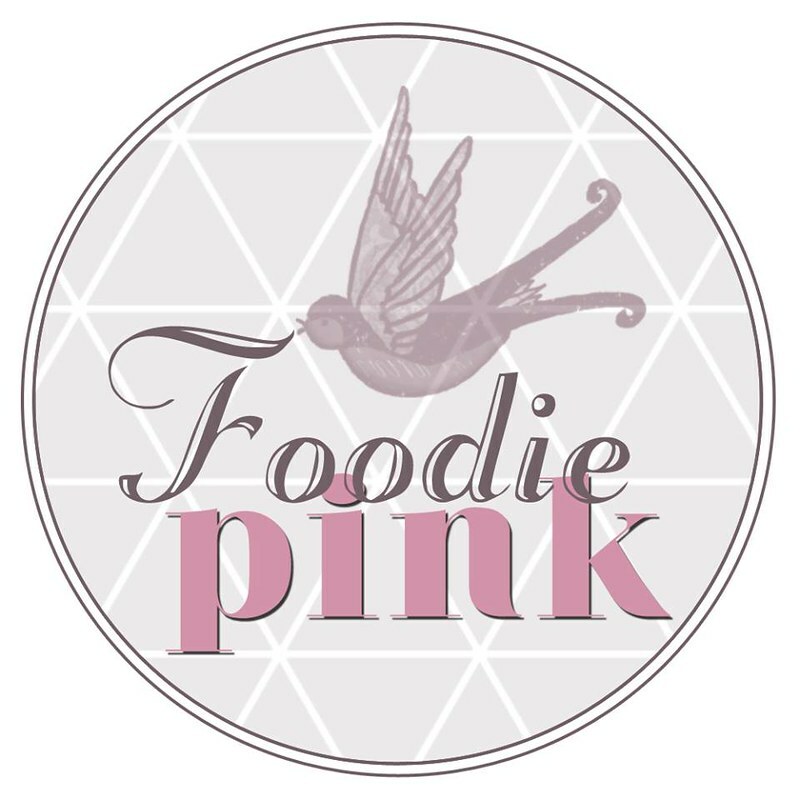 The tart is perfect as it gives way to the fork easily but retains the crunch as it chomps between your teeth. This is one of their most popular items! Be sure to try it or regret. 😛 The frangipani tart was as good as its counterpart, if I’m not bias. Instead of curd, the tart contains cake – similar to the texture of madeleines. Love the generous berries! The lemon drizzle cake was definitely a winner too. The punch was there with every mouthful and the melted icing balances the tartness of the lemon cake. 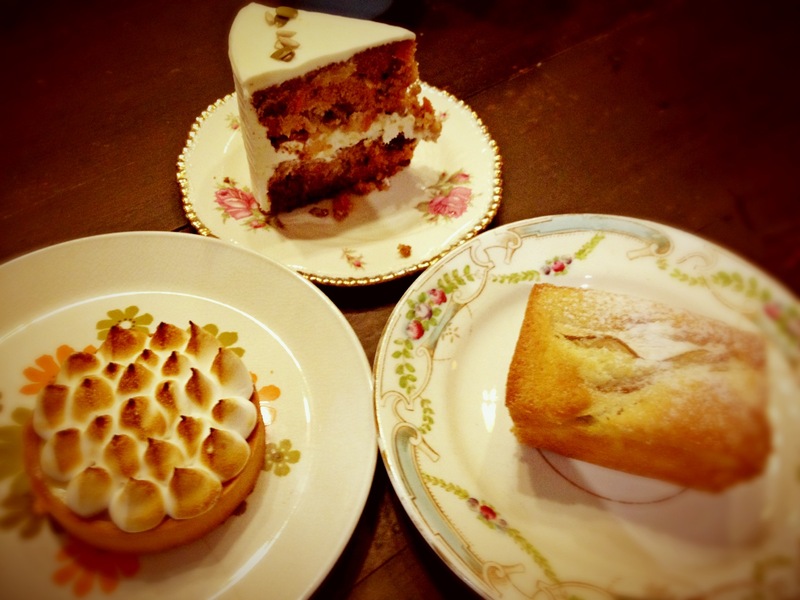 On my second visit, I had their Passionfruit Tart again, the White Rabbit Cake as well as the Almond Pear Eat Me Cake. The carrot cake was very moist and you could taste the carrot bits. They sure didn’t cut back in the carrots used! Fans of carrot cake should give their take of carrot cakes a try! In my opinion, the almond pear cake did not stand out as much as the lemon drizzle cake.